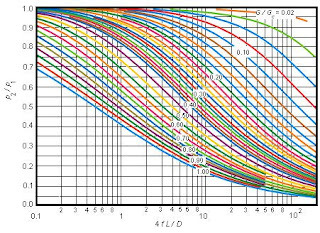 TK Solver is frequently used for calculations involving mass balances, fluid flow, distillation, agitation/mixing, combustion, heat transfer, dust/mist collection, and reactor design. The program includes built-in thermodynamic and transport property functions based on the NIST Standard Reference Database 23. Additional material property tables and curves can be integrated into TK models. TK’s unique backsolving capability allows engineers to optimize designs according to their process/performance requirements. 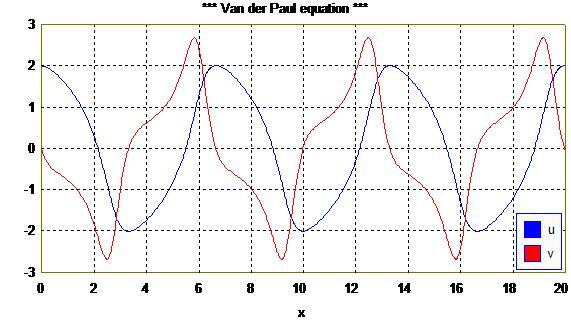 The versatile TK library of mathematical and statistical tools handles critical number crunching tasks such as nonlinear curve-fitting, simulation, and solutions of differential equations. Chemical engineering educators also find TK useful because of its structured approach to model building and its powerful equation solving and unit conversion abilities. Students can progressively build on previously learned concepts. TK’s List Solve feature empowers students to explore the sensitivity of the variables in their models, generating tables and plots of important relationships -- even those involving large sets of nonlinear equations. Engineering textbooks are available which integrate TK into the teaching of chemical engineering. Mark Jennings, Digital Kinetics -- Mr. Jennings used TK Solver to develop and publish PCOST, an extensive collection of process and pollution control equipment costing models based on a series of articles published in Chemical Engineering magazine. D.W. Pepper and A.H. Weber, DuPont, for the Journal of the Air Pollution Control Association -- Pepper and Weber discussed calculations involving accidental atmospheric dispersions and reported that TK Solver is easy to program and, because it can backsolve problems, can yield quick, reasonable estimate of the source term. Allan L. Smith, Drexel University Department of Chemistry -- “Every student said that TK Solver was easier to use than the programming languages they knew.” Professor Smith has used TK Solver to model the composition of “acid rain”. Edward M. Rosen, Monsanto Co. -- Mr. Rosen investigated TK Solver’s equation solving capabilities as applied to four chemical engineering problems: fractional conversion in a chemical reactor; energy and material balances; plug flow reactor equilibrium conversion and temperature; kinetics. Successfully solving all four problems with TK Solver, he concuded that TK is a useful tool for chemical engineers. Ali Cinar, Illinois Institute of Technology -- Volume II of the HAWK MANUAL, published by IIT to assist engineering students in learning to use computers, features 22 engineering case studies and corresponding TK Solver models. Mr. Cinar’s case study models an ammonia reactor operation and the effects of inerts molefraction level on recycle streams. Amoco Production Company and the American Petroleum Institute teamed up with UTS to develop TK Solver applications for the API Gas Measurement Manual. Z.Z. Zhang, Donald L. Sparks, and Noel Scrivner; Characterization and Modeling of the Al-Oxide/Aqueous Solution Interface, published in the Journal of Colloid and Interface Science -- The authors, from DuPont and the University of Delaware, successfully used TK Solver to build their mathematical model and study the sensitivity of the variables involved. Dan Deitz, Mechanical Engineering Magazine -- To determine the specifications for a combustor in a high-speed civil transport plane, Pratt & Whitney engineers are using TK Solver to solve hundreds of complex equations. The article focuses on TK’s many unique features put to use in solving heat transfer problems. UTS released Heat and Mass Transfer on TK, a collection of TK Solver models co-authored with Professor David DeWitt of Purdue University. 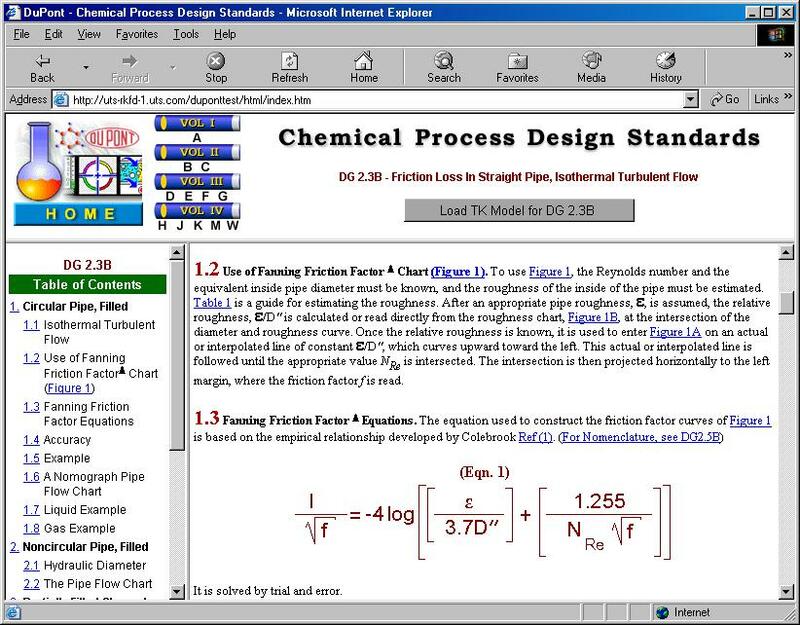 UTS and BHR Group Ltd. produced an on-line electronic information system called Intermix, based on the FMP and HILINE Design Guides for fluid mixing. The following topics are covered -- motionless mixers as liquid-phase and gas-liquid reactors, ejectors as gas-liquid reactors, rotor stator mixers as liquid phase reactors, and centrifugal pumps as liquid phase reactors. 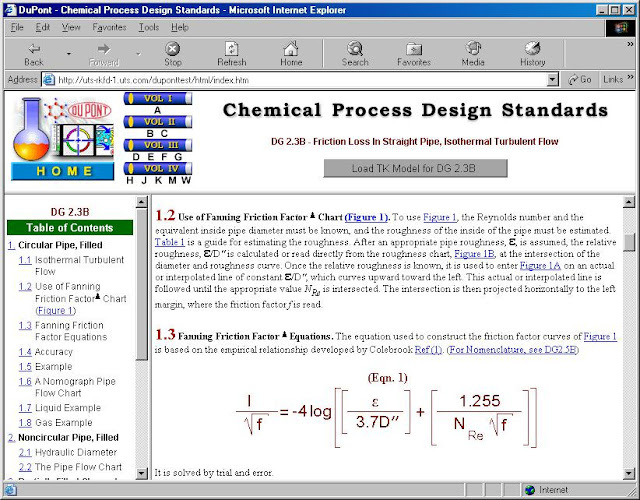 DuPont’s Chemical Process Design Standards are an excellent example of web-based smart standards. 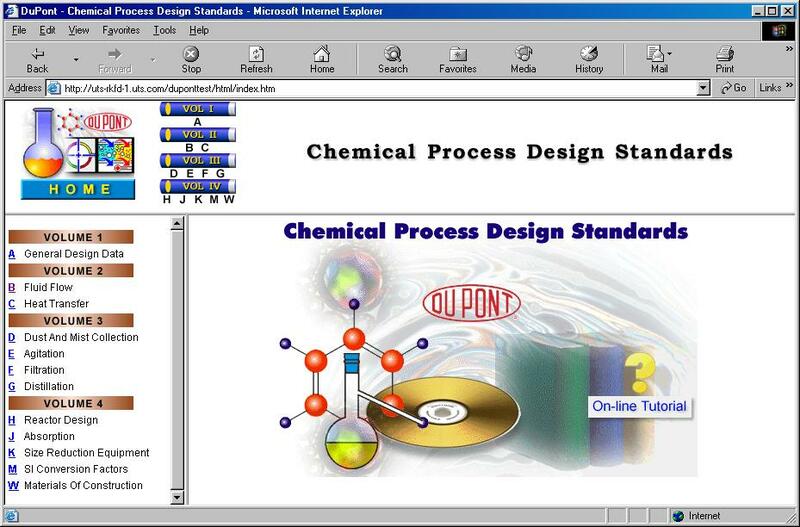 DuPont engineers have accumulated four volumes of chemical process design standards. There are well over one thousand pages of formulas, figures, and descriptions. DuPont worked with Universal Technical Systems, Inc. to produce the web-based version of these standards. Many of the paper standards required the users to refer to figures for use in intermediate calculations. Many of these figures required users to visually interpolate within families of curves. The TK Solver software was used to process the data within these curves numerically, interpolating automatically where necessary. Unit conversions were also handled using TK Solver. The equations were all entered using the established nomenclature for each variable. Conversion factors are automatically applied if the user wishes to view a variable in a different unit. Perhaps the most important use of TK Solver is for backsolving problems. Once the equations are set up in TK, they can be solved in any direction depending on which variables are known and unknown. 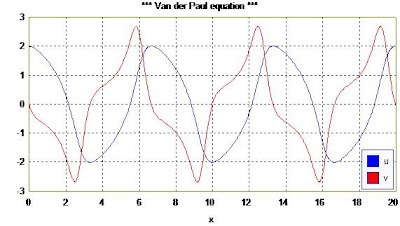 For example, a standard which computes the pressure drop from turbulent flow through a pipe can also be used to size a pipe for an allowable pressure drop. A single standard easily solves many combinations of problems. Another major enhancement to the standards was to incorporate a database of physical properties into the calculations. DuPont has a license for the DIPPR physical properties database. That information is now used during the calculations from the standards. Users specify the substances they are working with and properties such as viscosity, density, and vapor pressure are applied at various temperatures. The integration with TK Solver means that these material property calculations can also backsolved. The result is that users can backsolve for temperatures at which to operate various processes for desired performance. Users gain a better understanding of the relationships between variables. TK Solver has many great features but the following ones really make TK stand out as the preferred tool. • TK is easy to program. -- TK’s rule-based approach to model building allows engineers to enter equations just as they know them, without the need for algebra. Other programs require assignment statements where an unknown must be isolated. • TK can backsolve. -- TK can solve problems for many combinations of inputs and outputs without any additional programming or rearranging of variables or equations. Backsolving facilitates better designs. • TK can list solve. -- TK can solve problems repeatedly over a range of inputs to generate data for tables and plots. This feature works for models involving simultaneous nonlinear equations as easily as for simpler problems. This feature can easily be used for filtering random numbers through math models for Monte Carlo simulations. • TK can optimize -- TK can solve problems repeatedly within given constraints to determine the optimal configuration of inputs. • TK does table look-ups. -- TK can access material property tables and charts during model resolution and can interpolate within them as well. TK also backsolves table look-ups to find necessary inputs producing the desired properties. • TK is uniquely programmable. -- TK combines both rule-based and procedural languages for the best of both worlds. Users can implement their own algorithms and use the resulting functions within TK as they would any of the built-in functions. Even backsolve them! It’s easy to save these functions and merge them into other models as necessary. • The TK Library. -- Engineers with math and statistical requirements such as solving differential equations, fitting curves to experimental data, or even a combination of these two, will find a treasury of pre-programmed tools in the TK Library, all at no extra cost. Visit our Facebook page for more recent announcements!